I upgraded my Mozilla browser, and I saw a HELLO(emoticon) BUTTON at the left corner of my tab bar. Curious to know what is it, I hover to that Hello icon button and click it. 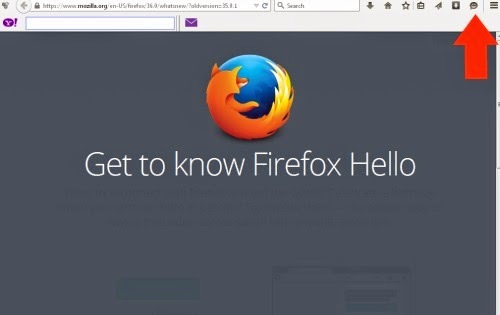 Recently Mozilla launches their Firefox Hello, the first global communication system that build direct into a browser to make easy access to everyone. As you upgrade your Mozilla browser you will see it in the MENU BAR or the CUSTOMIZATION PANEL. Click the "START A CONVERSATION" button in order to create your first conversation or this will be your start-up CHAT. When you start a conversation, a CHAT BOX will appear showing a self-view, in which a person you invited or just see the link clicks it and join your conversation. I copy the LINK. Posted it on my Facebook Account. And if someone see the link on my TIMELINE, then click that link, they will see this in their browser(even if they are not using Mozilla browser). HELLO ICON and you will get an audio alert. 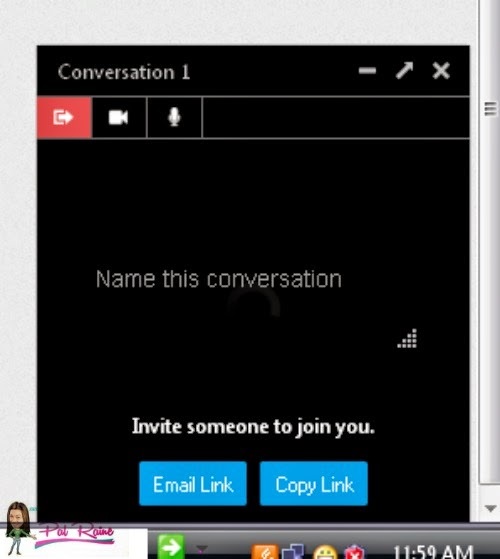 You can set up an URL for easy access of your conversation over video or audio, and make a name for you conversation. This can be done without the need of signing up for an account or giving your personal information. 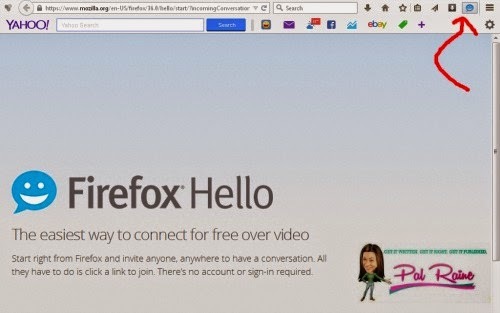 contacts, you want to be with them all the time, make sure that they have a Firefox Account. And if you have a Google account, you can sync or import contacts to your HELLO ADDRESS BOOK, just sign in to your Google account and accept permission to import contacts. What are you waiting for? Say "HELLO" to your friends, family and relatives today. Here's how to get started. I've seen the new look of firefox but it's only now that I realized that they added enhanced feature because of your post. I didn't know that since I've used google chrome all the time. That is very helpful, I want to try that now! I have also upgraded my FF and noticed that button. I haven't tested it yet but this feature will be really useful. I don't have to install an additional software or plugin for conversation. This morning lang nag-update ako ng Firefox, di ko ata napansin yan. I'll check it later tonight. Nice one. I will probably download that browser just because of that cool feature. I am not using FF. I am using Google Chrome. I am already used to it. By the way, your latest discovery on FF new feature on video chat has a similarity with Viber. Interesting! You figured this out all on your own? My default browser is Chrome, though. Oh. new VIDEO Call feature. Awesome! Look out for CHROME doing this pretty soon! this is an intersting added feature from Mozilla..I will check this out.